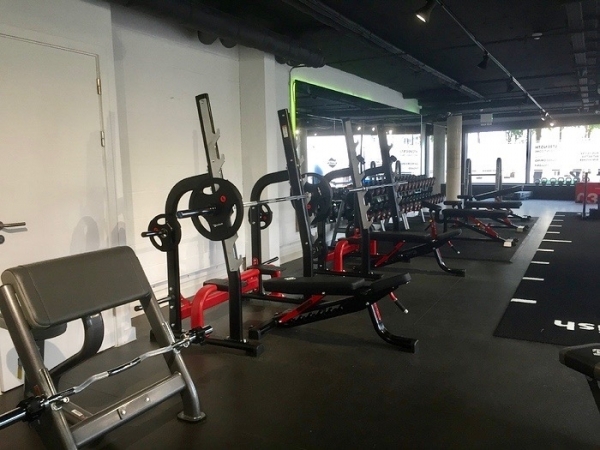 FitFam Studios is a private personal training studio located in the heart of Stratford’s buzzing International Quarter, opposite the infamous Westfield Shopping Centre, and just a stone’s throw from Stratford International Station. 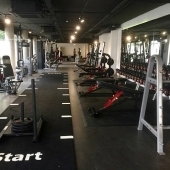 FitFam Studios offers a premium service, with professional world-class trainers, to deliver exceptional programmes with outstanding results. Owners Aaron Edwards and Lainey Panayis are both PTs and nutrition consultants who are well-known for their dedication and work at Gymbox. They initially sought our advice on flooring and indoor sprint tracks and, following our initial meeting and site visit, opted for a complete turnkey package that would set their brand new studio ablaze. 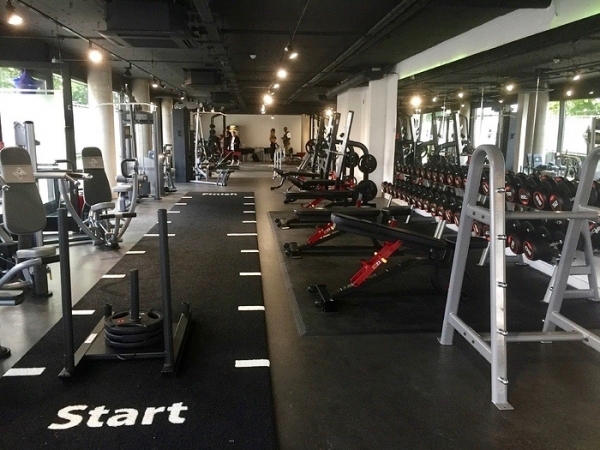 Aaron and Lainey selected custom 43 mm flooring for their heavy duty free weights area, including striking FitFam Studios branding, and a heavy duty 10 m x 1.5 m sprint track. 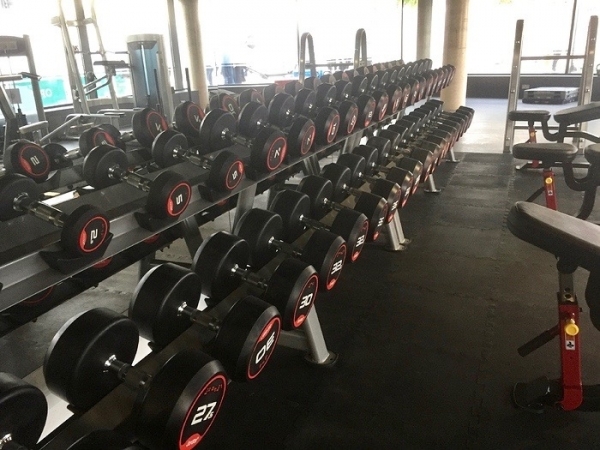 Cardio equipment from Concept 2 and Gym Gear was chosen, along with custom branded strength equipment, including elite series and fortitude resistance equipment, 3 half racks and a comprehensive range of free weights and accessories. 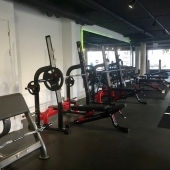 Two super compact and versatile Abs Company Battlerope ST stations were installed, for explosive oscillations and strength training workouts, along with bespoke UK manufactured Olympic multi-stations. 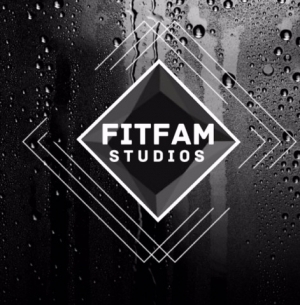 FitFam Studios is looking super sleek, in a thrilling location with the most affable of mentors. 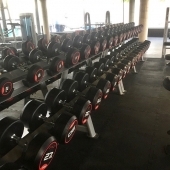 #Fitfam invites you into the world of wellness, now let Aaron and Lainey welcome you into their FitFam community for fantastic workout experiences and fitness camaraderie.